Experience is the basis, where innovation can emerge. Architecturally, the new Swing² façade provides a further design element for curtain-type rear-ventilated façades that fully corresponds to our slogan “Creative building with metal”. Our product developments are always based on penetration-free fastening. The same applies to the new Swing² facade profile. The assembly technology is based on the proven Planum façade system, but with a completely new look. 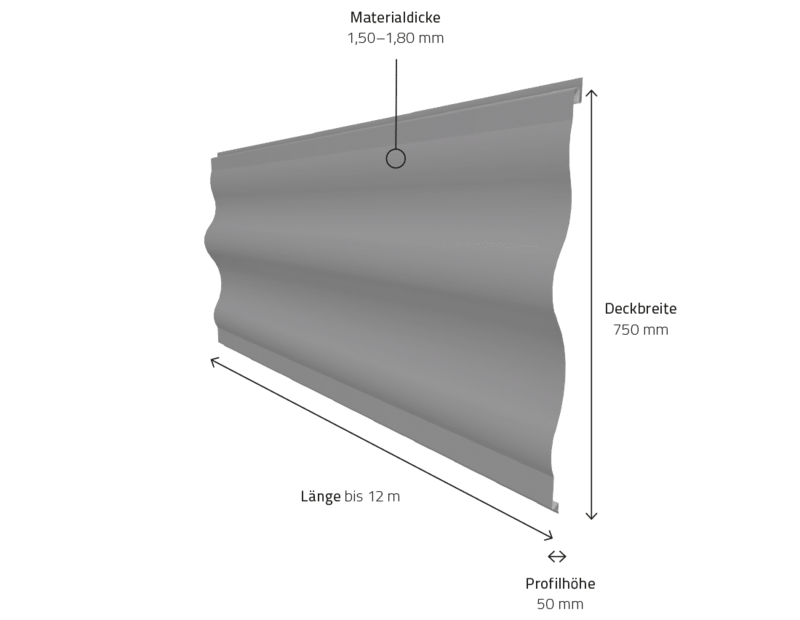 The profiles are provided with a light small and large wavy contour. The curved shape opens up completely new design possibilities. The installation can take place horizontally, vertically or diagonally. In order to achieve additional effects, the Swing² profiles are equipped with the familiar Planum profiles. Recommendation is everything. Here you can find out why architects, builders and specialist companies have chosen DOMICO.